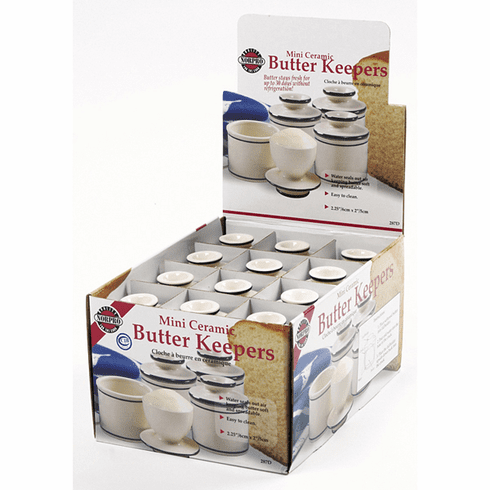 Butter keepers use water to seal out air, keeping butter soft, sweet and fresh for up to 30 days, without refrigeration. Made of cream colored stoneware with blue accents. Measures 2.25"5.5cm height. Display of 24 pieces. Stoneware.